English edition of the book "Acordes flamencos. 500 diagramas". Also available in the Spanish version. The most useful chord book yet devised for flamenco guitar. 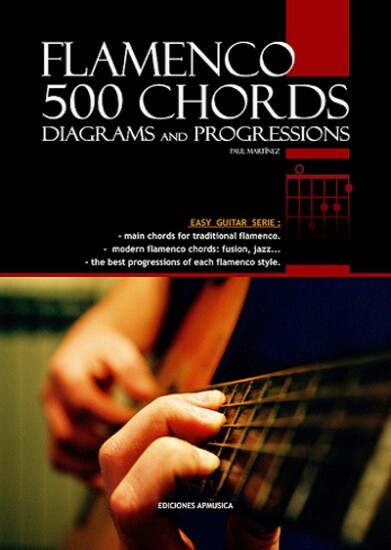 It shows the most interesting chords and progressions of each flamenco style used by the great Masters of flamenco guitar. This book takes as reference the chords used by Ramon Montoya, Nino Ricardo, Sabicas, Paco de Lucia, Manolo Sanlucar, Serranito, Tomatito, Vicente Amigo and other great Masters.